Arrived within a couple of days. Amazed at it's weight (or lack of it). The battery was fully charged and fitted in minutes. I am really pleased with it. Excellent communication and well packed item. Shipping to Sweden was not a problem either. Not installed yet. Perfect as expected. 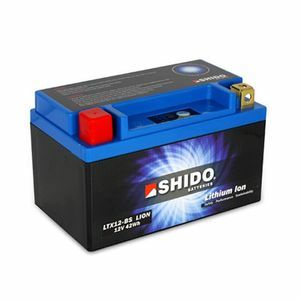 It is already my second Shido LiFePO4 battery. It still remains to be seen if the battery fulfills its promises also with its lifetime.